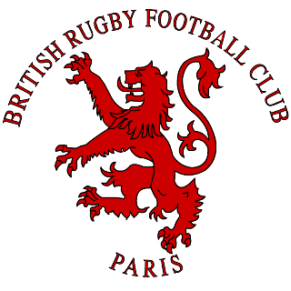 The British Rugby Football Club of Paris defeated league rivals Costognos 19-11 in a gritty affair to record their fourth win of the season. A win which moves them up to 7th in the standings. After an exceptional training session with record numbers down, coaches Brendan McCann and Mariano Podgaetzky were able to perhaps pick their full team for the first time of the season. The British also welcomed back Dave ‘The Wrecking Ball’ Snodin after a spell out through injury, alongside deputy captain Joe ‘Moving in with my girlfriend’ Bough. The expats were also happy to see Franco ‘the BNOC’ Podgaetzky return to Paris just in time for of a quick cameo appearance. The Brit’s however were handed a major setback early on as Henry ‘Chunderrrrr’ Spalding injured himself during the warm up and would take no part in the match. Still, looking for a quick and aggressive start, the BRFC were particularly keen to bounce back after a disappointing loss to the Crocodiles before the New Year. Captain Constantin De Langautier received kick off and the battle began. Early exchanges went the expats way, but after making ground into Costognos’ 22, a succession of penalties led to the expats being pushed back into their own 22. Good early pressure from the French who crossed over to take a 5 nil lead. Conversion missed, and a few stern words from Luke ‘The Gringo of Santiago’ Curtis saw the British set off again. Barely 5 minutes later, excellent work from the lineout and then a crisp move from a scrum saw center Charlie Hall cross over to level the score. Kieran Chandler kicking over the conversion. BRFC 7-5 up. A battle of attrition followed the try as possession exchanged hands multiple times. The British however were starting to find their stride and a lack of discipline at the breakdown gifted the expats a penalty, with Kieran once again kicking over to make it 10-5. Costognos came back firing, and a period of difficulty followed for the BRFC. First captain Constantin was sent to the bin for collapsing the mall. Costognos kicked over the penalty, but the British still held a 10-8 lead. On came Costognos as wave after wave of black shirts crashed against the BRFC try line. Time and time again the Costognos maul was battered back; twice sublime steals from Boughy and Constantin saw the French peddle back into their own half. Half time; and already a moral victory for the British with Costognos’ moral dented after that sublime spell of defending. In the second half the British controlled the game from the off. Kieran kicking over another penalty to give the expats another 5 point lead, only for Costognos to respond with three points of their own. The British had a priceless opportunity to score a brilliant try as Curtis reversed the ball from a ruck presenting a 4 on 2 situation where the BRFC could go all the way. But, for reasons unknown, Alessandro ‘The Big Mamba’ Donada through a looping pass wide with the opportunity going amiss and incredulous looks from the coaching staff. Lack of discipline started creeping into the expats game as fatigue settled in. However with invaluable help from the Bench the British once again took control of the match and two penalties from Kieran completed a 19-11 win for the BRFC. A victory which as the coaches said 12 months ago would have slipped through our fingers. A sign that the club is moving upwards and aiming for the playoffs for the first time since joining the top division. The next meeting for the BRFC will be on January 26th against XV De La Moustache, a fixture which could very well be the new top rivalry in the league. Finally from everyone at the club, we wish you a Happy New Year and all the best for 2019, filled with plenty of mud sweat and beers! Match Report – BRFC vs Gitans Olympique	BRFC TOUR 2019!